Working with nature in its cyclical processes is the main occupation of a successful farmer. Occasionally it means choosing to intervene in its harsher aspects, as contributor Anthony Boutard of Ayers Creek Farm describes. 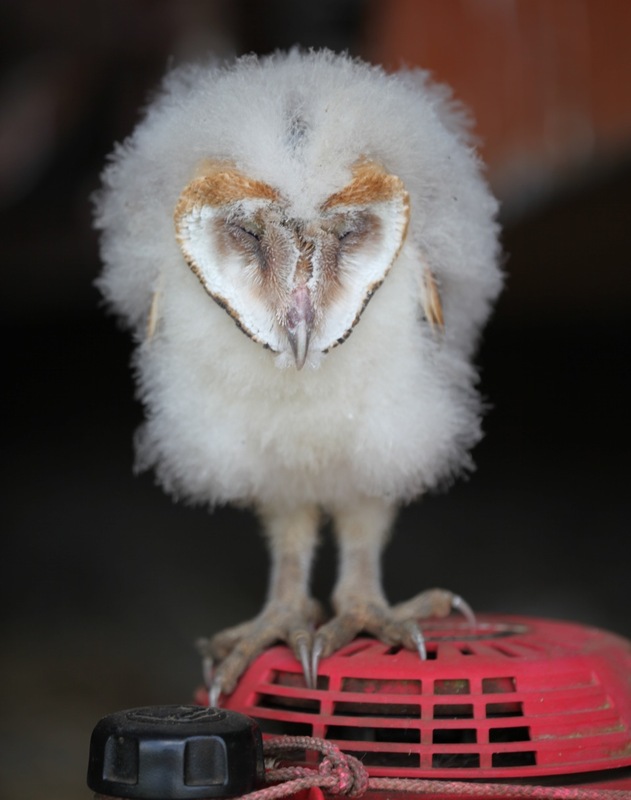 Yesterday morning, we were greeted by this barn owl chick. It is just beginning to develop its immature plumage on its wings. 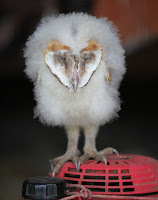 They are hideous and lack charm until they fledge. It had been tossed or fallen out of the nest. Sort of hard to say. Most years we find a dead chick or two on the barn floor. Earlier this week, a much smaller chick lay dead beneath a nest in our other barn. Not relishing the task of putting it back up in the box, and cautious lest it had an illness, we waited until mid-afternoon. Still alive and punchy, show no signs of malaise, we decided it was worth returning to the nest. We grabbed it, scaled the ladder and jammed it back into the box. Our effort was rewarded by a horrible and sustained hissing from the other occupants. Checked this morning and there is no sign of the beast on the barn floor, so it is probably fine. 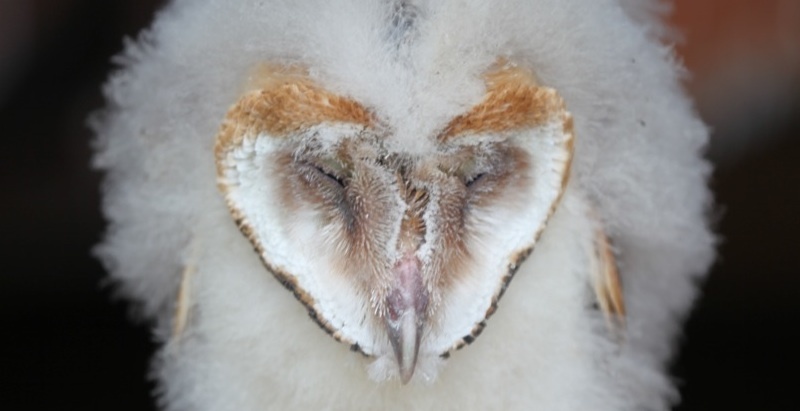 Barn owls are excitable and humorless creatures, make a mess of the place and equipment with their casts and urine, but seeing their ghostly forms over the fields at night makes them tolerable companions. significant number of rodents. Therefore, his barns and crops are surely benefiting from these nocturnal avian guests. Thanks for the comment, Anon. In a conversation with Anthony on the subject, he referred to a previous post for reference.